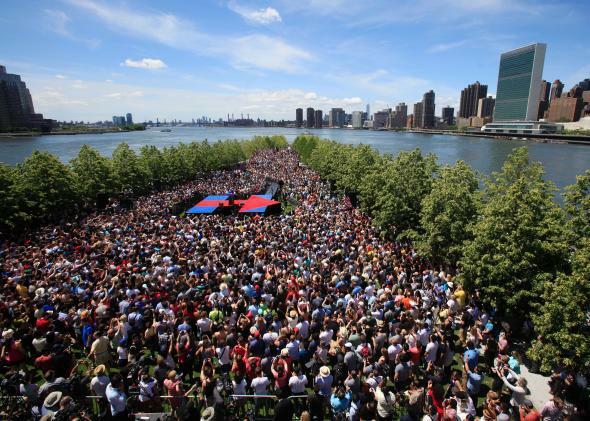 Democratic presidential candidate Hillary Clinton delivers her “official launch speech” at a campaign kick-off rally in Franklin D. Roosevelt Four Freedoms Park on Roosevelt Island in New York City, June 13, 2015. 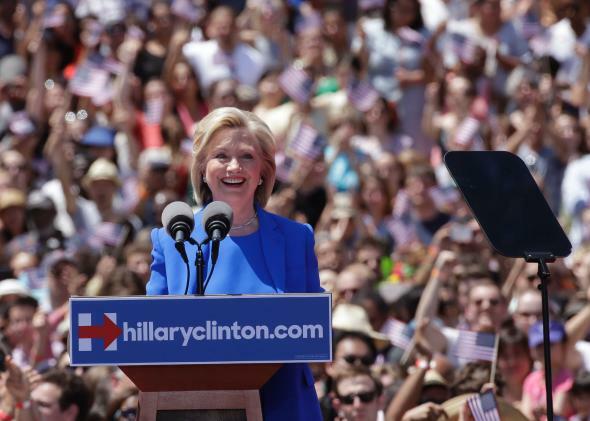 Hillary Clinton speaks to supporters on June 13, 2015. From the beginning of the address that Politico says “often felt more like a State of the Union address than a rousing campaign rally,” Clinton insisted on her message that she would defend the interest of the middle class, clearly trying to tap into frustration with the ultrawealthy by pointing out that the top 25 hedge fund managers make more than all of the country’s kindergarten teachers. “You have to wonder: When does my hard work pay off? When does my family get ahead? I say: now. That’s why I am running for president of United States.” On that note she vowed to rewrite the tax code to reward hard work and not Wall Street. She also said that if necessary she would be willing to back a constitutional amendment to overturn the Supreme Court’s Citizens United decision that lifted limits on campaign funding. After she was done speaking, Clinton mingled with a few supporters, as did her husband, to take photographs. Chelsea was also at the rally, marking the first time the family has been seen in public together since Clinton launched her campaign in April. After the speech, Clinton plans to return to early-voting states “with events focused on her relationship with her mother and her father’s background as a veteran and small businessman,” notes the Associated Press. 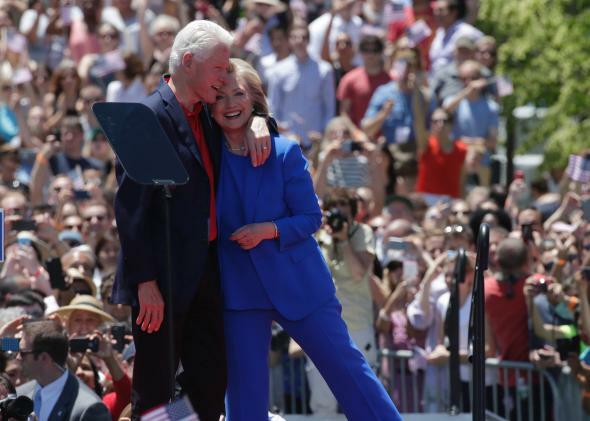 Hillary Clinton is embraced by her husband former President Bill Clinton after she delivered her speech at Roosevelt Island in New York City on June 13, 2015.